On the run from her ex-boyfriend's powerful criminal family, Sara Jones hides in Billings, Montana. When she receives a mysterious package containing a hidden spider, people around her start dying from poisonous spider bites and she fears that the family has found her. Is it possible to escape their reach? ??? From its gut-grabbing prologue to its explosive conclusion, Goss's debut story gives new meaning to the phrase "a blood-curdling adventure." Life takes an even more bizarre turn when Sara seems to be not only immune to the spider venom, but also surrounded by a sinister group of people using spiders to incapacitate their prey. Even her new boyfriend starts acting suspiciously. Who can she trust? To make matters worse Sara's twenty-fifth birthday approaches, and her dark heritage begins to emerge. She is forced to make a life-or-death decision. And somehow, she must find a way to deal with the crime family. Goss immerses the reader in a gripping tale in which spiders are trained to kill. To some, the story may seem far-fetched, and cult members eating the flesh of cadavers may seem abhorrent, but Dracula set that table long ago. 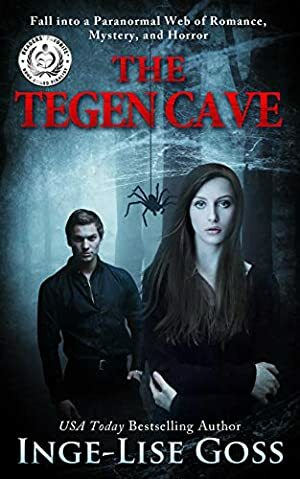 Tegen Cave is sure to thrill anyone predisposed to the fantasy genre. Log In to track Inge-Lise Goss on eReaderIQ. to be notified each time the price drops on any book by Inge-Lise Goss. to stop tracking Inge-Lise Goss. We started tracking this book on February 3, 2015. The price of this book has changed 90 times in the past 1,539 days. The current price of this book is £3.84 last checked 2 hours ago. The highest price to date was £3.92 last reached on February 13, 2019. This book has been £3.92 3 times since we started tracking it. We last verified the price of this book about 2 hours ago. At that time, the price was £3.84. This price is subject to change. The price displayed on the Amazon.co.uk website at the time of purchase is the price you will pay for this book. Please confirm the price before making any purchases.